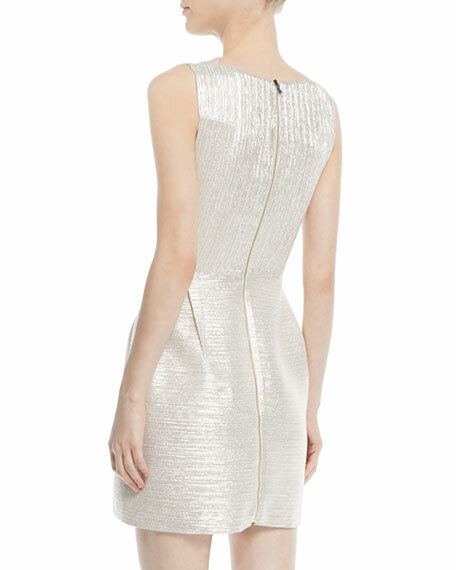 Roland Mouret striped-metallic cocktail dress. For in-store inquiries, use sku #2512895. A.L.C. "Renzo" pleated satin cocktail dress. High, halter neckline; buttons at back. Sleeveless; cut-in shoulders. Smocked waist. Blouson top. A-line skirt. Handkerchief hem. Polyester. Dry clean. Imported. 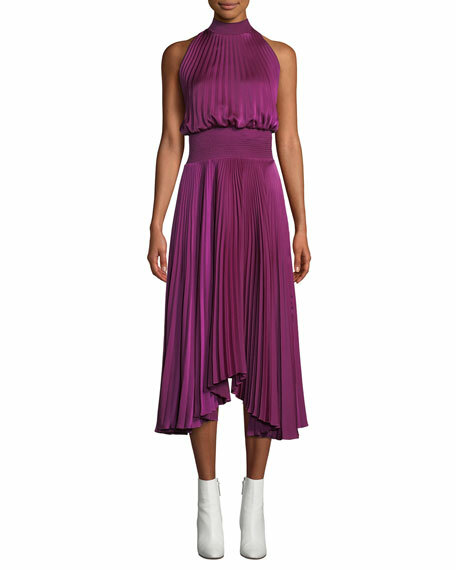 Akris cocktail dress in silk velvet devor with pleated drop-waist sweep. Square neckline. Sleeveless; thin straps. A-line silhouette. Side slip pockets. Side slits. Midi length. Viscose/silk. Imported of French materials. 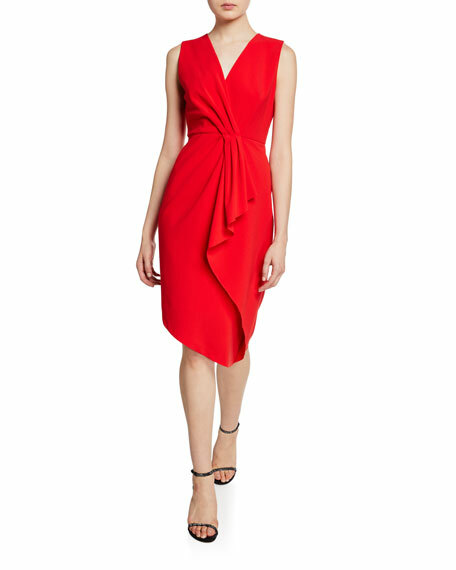 Halston Heritage faille cocktail dress. Approx. length: 24"L down center front, 27"L down center back. Deep V neckline; halter style. Open back; buttons at nape. A-line silhouette. High-low hem. Back zip. Cotton/silk. Polyester lining. Dry clean. Imported.